Once the cake has been eaten and you return from your amazing honeymoon you will await your wedding gallery. Our online galleries are delivered fully edited within 4 weeks of your wedding day. We believe that your timeless photographs deserve to not only be shared with friends and family on social media but also to become meaningful, lasting, tangible memories as pieces of art in your homes! For this reason we thought we would put together a guide to talk you through your Pic-time gallery. This is the platform we use to deliver every single one of our galleries - wedding, engagements & boudoir photography. 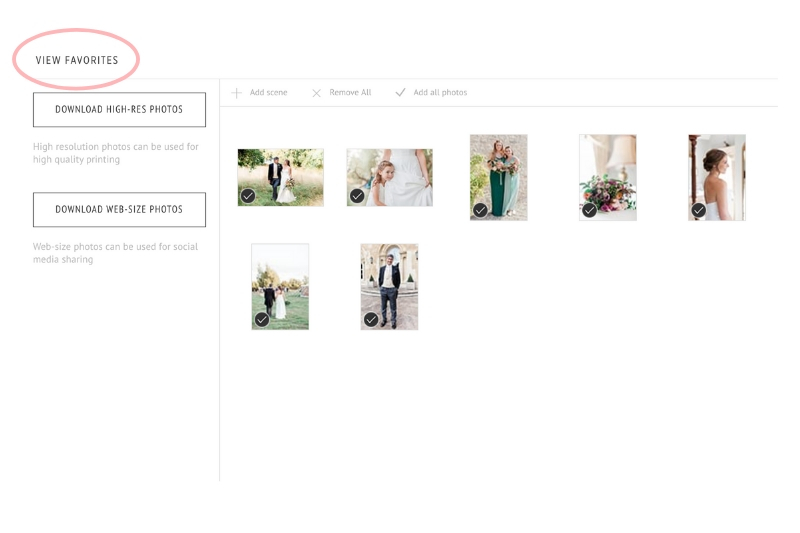 We love that it is a fully integrated system that allows you to view, download, share, print and even create a beautiful album all in one place. You can view your gallery from either your computer, mobile phone or tablet. You can then favourite your most LOVED images, share them with family and friends and order fine art, exceptional quality prints. Click on the ‘View Gallery’ button in the email we send you regarding your gallery. Once you click the ‘View Gallery’ button you will be directed to a pretty home page where you will be asked to enter your email address. (Don't worry - this email address will be used to send you your images when you are ready to download). Once you have chosen your favourite photograph just click on the ‘Heart’ icon. Click the other 'Heart' icon in the top right corner of the page to view your favourites page. Remember to create a favourites album for your printed wedding album. To start, click the download icon, which is found at the very top of your gallery to download the entire gallery or at the bottom of a selected photograph as shown. 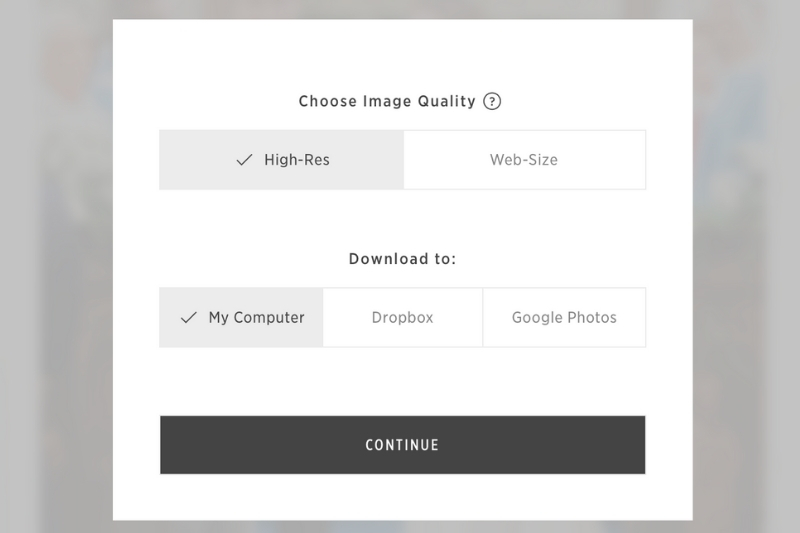 This will then bring you to an option to download ‘High resolution’ or ‘web size’ images. It's easy! Click the 'Share' button in the top right corner of the page. Share your pretty gallery to your favourite social media platform! Or copy the link to send to family and friends. Printing your images at drugstores can drastically change the colour tones of your photograph and reduce the quality and lifespan of your pictures. Thankfully, Pic-time makes it easy to order professional-grade prints from your gallery at an affordable price. Printed by Loxley colour lab on professional photo paper with a semi-gloss finish, for the highest quality and longest lasting print. These full bleed prints are available in a variety of sizes. Choose how many of each print and make sure to double check that all your images are cropped the way you would like them. When you are finished selecting your images, click 'Checkout' and follow the prompts. Your images are now being printed at a professional printing lab based in the United Kingdom and as soon as they are ready, your gorgeous pictures will be shipped directly to you! You may also wish to purchase beautiful deckled edge prints. Printed on acid-free archival Matte Cotton Rag paper (310gsm) with a rich slightly textured finish, these gorgeously feathered edge prints create truly timeless heirlooms, with the most exceptional quality. 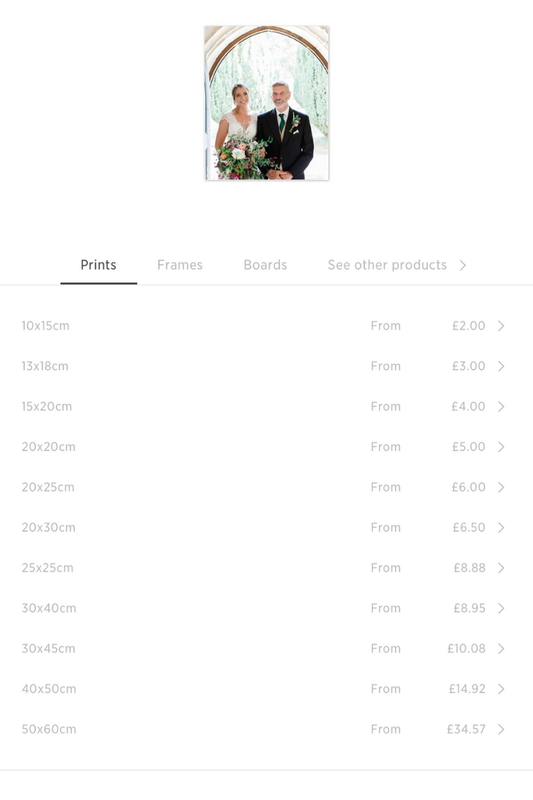 Your online shop comes with the option to purchase stunning frames, the perfect setting for your photographs, these frames come ready to display and hang on the wall. We believe that timeless, classic memories should be hanging from your walls and sitting on your lounge table to be enjoyed over the years! You can either order an Heirloom album with us by choosing your favourite images and we will design it for you or you can creat your own gorgeous fine art album in your online shop. 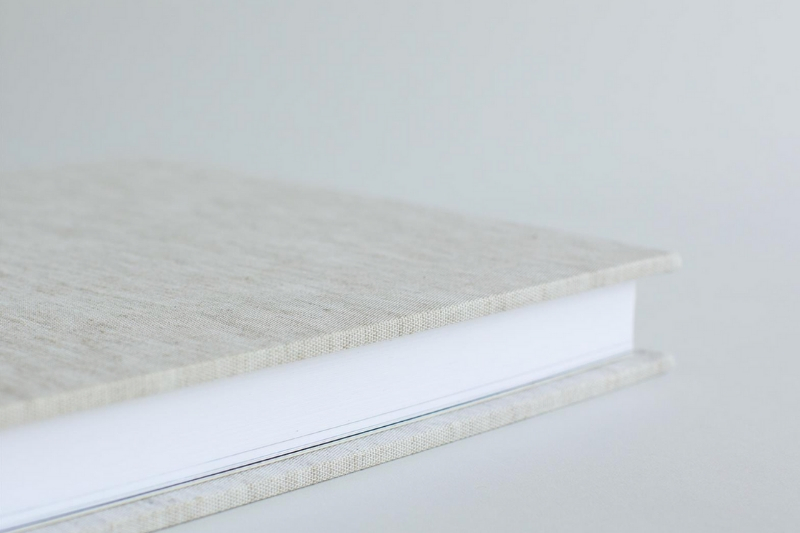 Using pigmented inks on Art Matte Paper, this lightly textured album provides museum grade printing and is paired with a raw oatmeal colored linen presentation box. Perfect for those who are looking to have their memories expressed and preserved in the finest way. Newer PostWedding Day Preparation is not just for Brides!